OWoN: Stop the earth moving Ladies, Astronauts fire Blanks! Research in rats suggests that spending time in space may cause damage to sperm cells, possibly leading to infertility, a study has found. Their experiments in male rats show that the combined effects of reduced gravity, or microgravity, in space and radiation exposure damages the cells that make sperm. 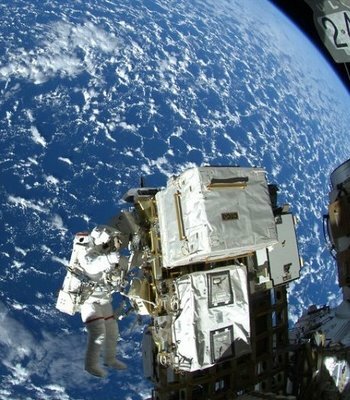 Researchers from the department of molecular and integrative physiology at the University of Kansas found that when they hoisted male rats up by their hind legs, to recreate the microgravity conditions that astronauts experience in space, it caused changes to the cells that make sperm in the testes which damaged them. The changes to the cells inside the testes meant the rats could not make sperm and effectively became infertile. There were no changes to the rats' behaviour, researchers noted. Dr Joseph Tash, who led the research, said: "The changes in the histology suggest that they could no longer produce sperm that was functional. The animals still had a strong mating urge. So a male astronaut could come back without any change in behaviour but they may be shooting blanks and maybe they are unaware there is a problem." But Dr Tash admitted that it's far from certain whether the study in rats will apply to human astronauts. "We are seeing big impacts. [But] We don't really have the human data to determine whether what we are seeing in animals is translatable to humans." 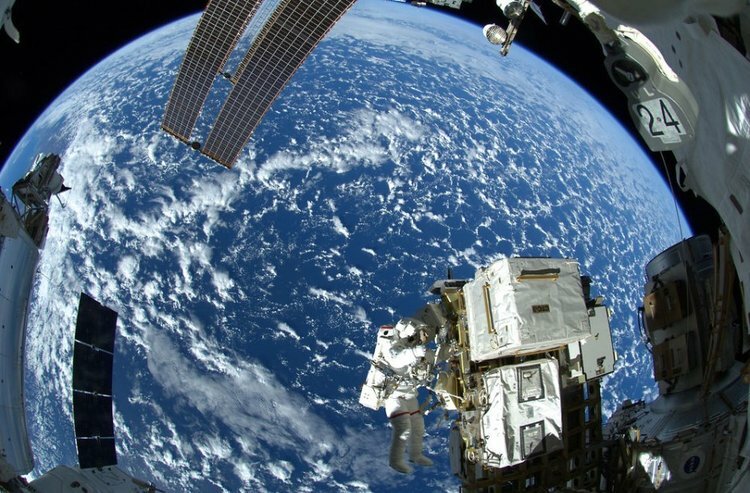 Radiation exposure could damage the testes, the ovaries and the eyes, said Dr Tash, who said that some astronauts had already returned from space with eye damage. "The eyes are the next most sensitive [after the testes]. A lot of long-term astronauts are coming back with eye problems. So it would suggest that the testes must have already been exposed." Previous research has suggested that former female astronauts took longer to conceive than other women. But Dr Tash dismissed this suggestion, as female astronauts may be older when they retire and choose to start a family, and their age may play more of a role in how long it takes them to conceive than having been in space. The rats were luckier than the Russian geckos sent into orbit as part of an experiment in procreation. They returned to Earth dead. Well, you do no know what to do with this info? Send there Zio-Jews and cabal families ......so what. Does it sound racist? I do not think so, it would mean salvation to humankind and planer Earth.